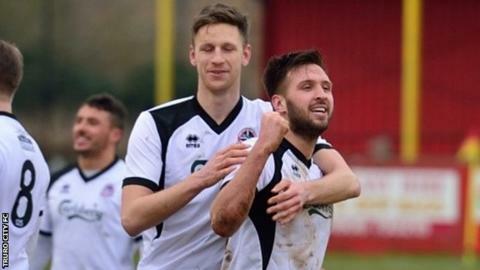 Truro City are still looking to add to their squad, according to the club's chairman and manager. The White Tigers came from a goal down to beat Banbury United 2-1 after strikes from Les Afful and Matt Wright. "We've got a really good squad, and good depth, but we may add a couple of players in the next two or three weeks to make sure we can really bang it in," said chairman Peter Masters. "We could pick up injuries and we're going to leave nothing to chance." City are now a point off second-placed Weymouth in the Southern Premier League and host top-of-the-table Poole Town next week. "You've got to keep pushing and I'll keep pushing this squad to their limits," manager Steve Tully told BBC Radio Cornwall. "There are 11 games to go now in the league and if you can bring someone in to add that little bit of extra quality we need it and I'll keep looking."